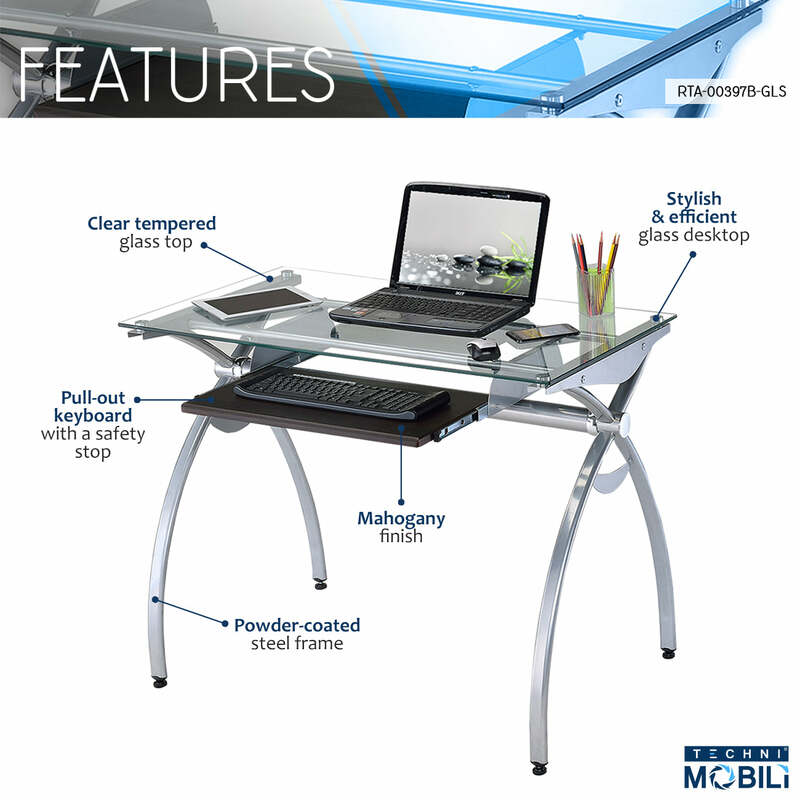 The contempo style of this Techni Mobili Glass-Top Computer Desk brings a crisp and smart ambiance to any office. It features a heavy-duty 8 mm tempered safety glass desktop, the stylish lines of a curved scratch-resistant powder-coated steel frame, and a pull-out keyboard panel with moisture resistant PVC laminate veneer in a Mahogany finish. With its compact footprint you can furnish your workspace with style and efficiency. The desktop has a 110 lb. weight capacity and the keyboard shelf has a 33LBS weight capacity. It is ready and easy to assemble. Color: Clear Glass & Mahogany Keyboard.